Scorpios Mykonos. The island isn’t referred to as Greece’s party island for no reason and there are plenty of places to go to let your hair down. For us though, our party destination of choice was Scorpios. Located right on the beach with impressive views of the Aegean ocean. We arrived around 7 and enjoyed a few cocktails whilst we watched the sunset. Thats when Scorpios really comes to life. Come nightfall the fire pit is lit and people of all ages and backgrounds gather to dance until the early hours. 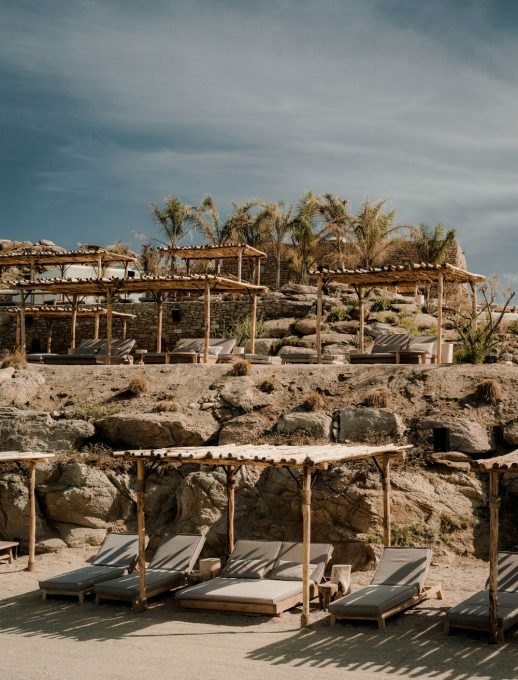 This was one of our favourite places in Mykonos, the vibes are chilled and relaxed, but still perfect to throw on one of your fancier coverups and dance the night away. 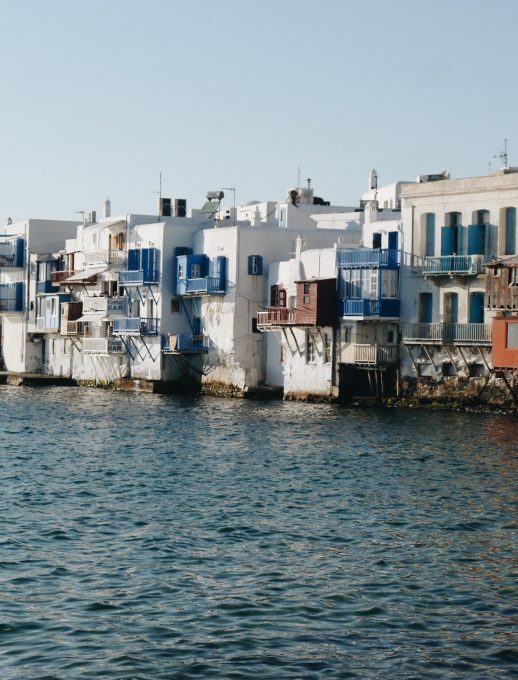 One of the most iconic sights in Mykonos, located right next to the famous windmills and with an array of Italian and Greek restaurants to chose from. We enjoyed cocktails at Caprice before moving on to a sea front restaurant called Katerina’s where we shared the most memorable pasta carbonara we’ve ever had. 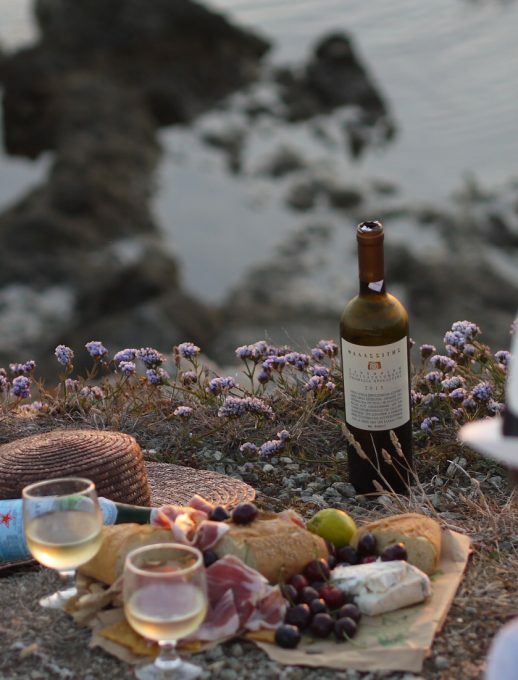 We stayed long enough to polish off 2 bread baskets and a litre of wine whilst watching the yachts plot up to watch the sunset before heading further into town and bumping into the island resident pelicans on our way to find a bar for the rest of the night. It’s worth mentioning that despite the views and iconic setting this was the cheapest and one of the most delicious meals we had during our time on the island. 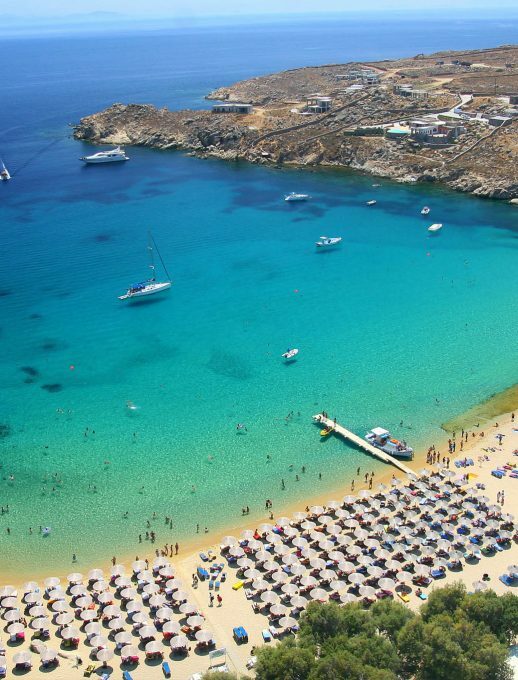 My favourite beach in the whole of Mykonos is Kapari. Located on the west coast of the island and so quiet and private that we were sceptical to share our findings with anyone else. The beach is completely unmanned with no sunbeds, beach bars, shops or shade for that matter. But it is paradise. We spotted the occasional nudist tanning their nether regions but for the most part people keep themselves to themselves. We spent many mornings here before anyone else arrived, swimming in the sea, and later came back to enjoy a picnic and the sunset. The road to the beach is quite rocky, we came by quad which handled it quite well, but taxi’s apparently tend to drop you about a 10 minute walk away. The complete opposite to Kapari, but not to be missed for the people watching and experience alone. 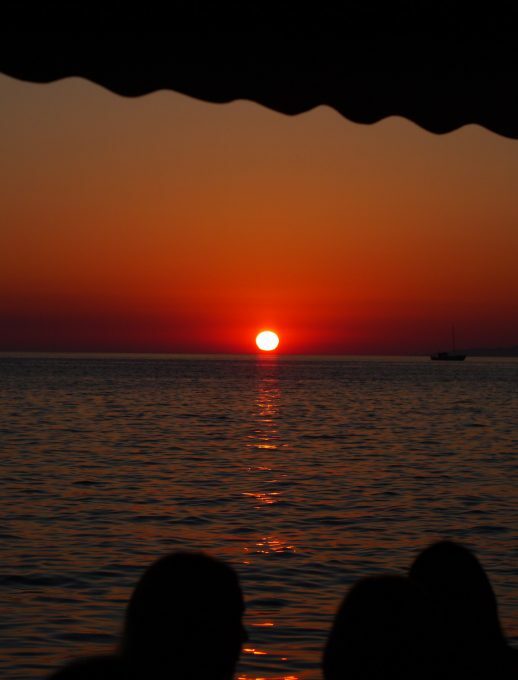 Sunbeds are pricey, as are the drinks, but if you want to experience the Mykonos beach party scene then look no further. A few hours and 100 Euros later and we were ready to leave for somewhere a little less lively. No beach holiday is complete without a boat trip in our eyes and what a perfect opportunity to see the island from a different perspective. Mykonos Cruises run a mix of shared and private cruises at various times of day. We opted for a sunset cruise (there’s a bit of a pattern here isn’t there), and made the most of the last rays of sun whilst lounging on the boat, enjoying each others company and getting tipsy on chilled rosé. © 2019 Carlie Tasker All Rights Reserved. The material on this site may not be reproduced, distributed, transmitted, cached or otherwise used, except with the prior written permission of Carlie Tasker. All photography is the sole property of their respective owners.